The German use of props and chair settings in portrait photography never ceases to amaze me. 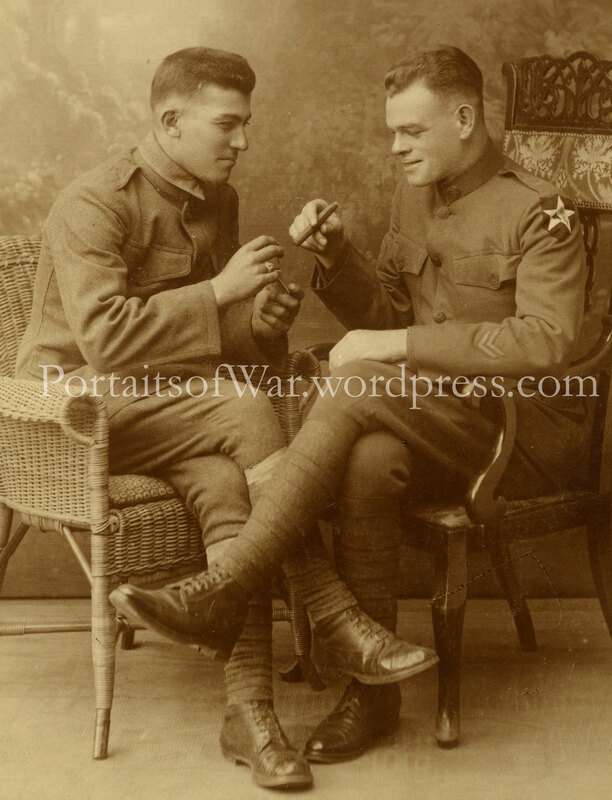 In this photo, two 2nd Division doughboys pose for the camera as they light up a cigar. Slightly cropped down from a normal sized postcard, this image exudes the confidence and attitude of post-WWI Ally nations. Light one up for Uncle Sam!